Zeina bridges the gap between knowledge and application when it comes to nutrition, and works with clients of all ages to help them form a healthy relationship with food and their bodies. She specializes in binge eating disorder, emotional eating, restrictive eating disorders, and hormonal/endocrine imbalances. She works directly with clients to create an individualized meal plan that will empower them with confidence and knowledge so that they can reach their personal nutrition goals. Zeina has a special interest in adolescent athletes who struggle with disordered eating. When working with these individuals she establishes customized fueling plans to enhance performance. She educates her clients on how to fuel their bodies properly, provides guidance on nutrition supplements, exposes diet myths and strikes the balance between eating and health with an inclusive philosophy of conscious eating. 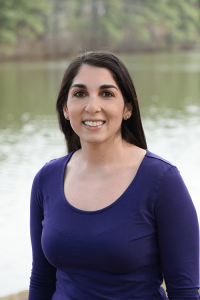 Zeina received her BS in Biological Sciences with a Nutrition Concentration at North Carolina State University and completed her Dietetic Internship at Meredith College. She is an active member of the International Association of Eating Disorders North Carolina Chapter. Zeina was a member of the Healthy Diets family while completing her undergraduate degree in 2008. She then gained experience in both health and wellness clinics, hospitals, and settings that enabled her to provide nutritional guidance to members of special-forces units, mixed martial arts fighters, and triathletes. She rejoined the Healthy Diets team in 2014 and has found her passion in providing nutrition education to those with disordered eating and endocrine/hormonal health concerns.